Kozar Engineering Inc. has a sound understanding of the unique challenges faced by industry and as such can offer clients cost-effective, innovative solutions. We have worked with many clients on projects ranging from feasibility studies to final commissioning. KEI is capable of providing our clients solutions to whatever their project needs are. Our projects range in size from a single discipline project last one week to multi-discipline projects progressing over many years. We will provide the most qualified team of engineers and designers to meet the particular needs of our clients and their projects. The underground water recycle project was initiated by Musselwhite Mine to reduce the total amount of fresh water being delivered from surface infrastructure to the underground workings. The concept was to reduce power consumption by reducing the operation of dewatering pumps. Kozar Engineering provided detailed mechanical, electrical and controls engineering to put into service a complete working system. The water recycle project consisted of; mud settling equipment, ultraviolet disinfection, pumping & piping and a control system to tie the recycle water into the existing U/G process water system. TSS & UVT properties are constantly monitored by mine operations. Kozar Engineering Inc. completed a services upgrade project at H2O Power LP’s Fort Frances Generating Station. 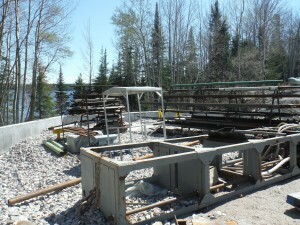 The upgrades were necessary to H2O Power as their goal is to “island” themselves from neighbouring service providers. The upgraded services included; process water, compressed air; electrical upgrades and; sanitary/drainage. Kozar Engineering Inc. provided the mechanical, electrical and instrumentation engineering for this project. 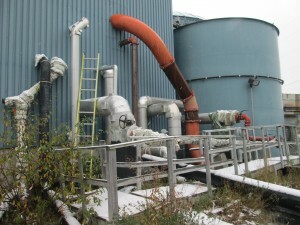 The detailed mechanical design consisted of providing pipe routing drawings & details to three tie-points; providing an option analysis on freeze protection including material costs, installation costs, and constructability issues; providing piping layouts and detail drawings including tie-in details and pipe support details; and providing recirculating line details and schematic. The detailed electrical design consisted of providing electrical engineering design services for the recirculation system, preparing PFD’s and P&ID’s, wiring diagrams, cable schedules and motor starters. The scope of work included conveyor capacity sizing, conveyor loading, drive assembly sizing, design of the feed and discharge chutes and design of structural supports. Kozar Engineering Inc. provided equipment installation drawings, detailed conveyor assembly drawings, detailed chute fabrication drawings as well as structural support drawings. Kozar Engineering also provided field services during start-up and process troubleshooting. Musselwhite mine engaged Kozar Engineering Inc. to provide engineering services to complete the installation of two booster pumps for their thickened tailing system. With the need to pump thickened tailings further into the tailings pond, the additional pumps were required. Kozar Engineering Inc. completed the analysis of the slurry piping system and provided specifications for the slurry pumps and piping materials. KEI's scope of work included completing the mechanical, electrical and structural designs for the new system. Rubicon Minerals engaged Kozar Engineering Inc. to provide detailed design services for a diesel tank farm and underground fuel delivery system. KEI completed all mechanical, electrical and civil/structural designs to implement the new tank farm, surface dispensing and underground fuel delivery. Kozar Engineering also provide process design including a control system to safely unload fuel from a tanker and deliver it underground or dispense it locally at the tank farm. 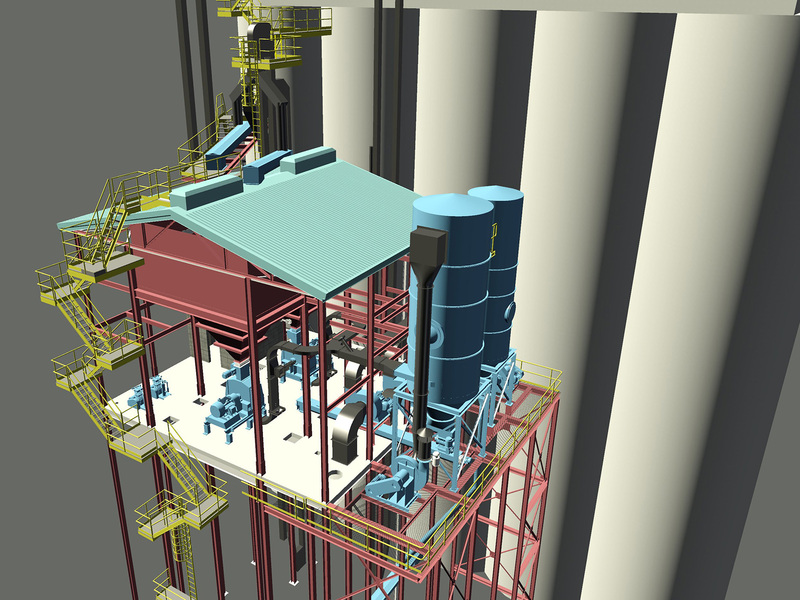 Kozar Engineering Inc. completed the detailed process, mechanical and structural design for the proposed upgrades to Viterra's existing pellet plant. The upgrades included replacing five existing hammer mills with two energy efficient hammer mills, designing modifications to existing chute and bins, designing external structural platforms for housing new fans and filters and providing the detailed specifications for the new equipment. Kozar Engineering completed the engineering design within our allotted budget and timeframe.